Former Love Island star Sophie Gradon has died at the age of 32. The reality TV star’s body was found at her home in Medburn on Wednesday, June 20. Police have confirmed there are no “suspicious circumstances surrounding her death”. Sophie’s loved ones and co-stars have taken to social media to pay tribute to the former Miss Great Britain. Love Island presenter Caroline Flack wrote: “So very sad . Such a beautiful soul …. such a beautiful smile …thoughts and love with friends and family @sophiegradon ❤️”. Awful awful news this morning. I am gutted. I am so sorry the world failed you. You were such an intricate, creative, intelligent soul. Words fail me. Alex Bowen said she was “a beautiful person with a beautiful soul”, while Kady McDermott said she was “absolutely heartbroken”. Pregnant Kate Middleton has arrived at hospital “in the early stages of labour” to give birth to her third child with husband Prince William. Kensington Palace sent out a tweet this morning, announcing the news that The Duchess of Cambridge has been admitted to hospital. The tweet read: “Her Royal Highness The Duchess of Cambridge was admitted to St. Mary’s Hospital, Paddington, London earlier this morning in the early stages of labour. Kate Middleton will give birth at the private Lindo Wing at St Mary’s Hospital, Paddington in London; the same place Prince George and Princess Charlotte were delivered. The nation is waiting excitedly to find out the gender of the new royal baby, although it is suspected a baby boy might be on the way after Prince William recently let slip a hint when discussing the child’s name. 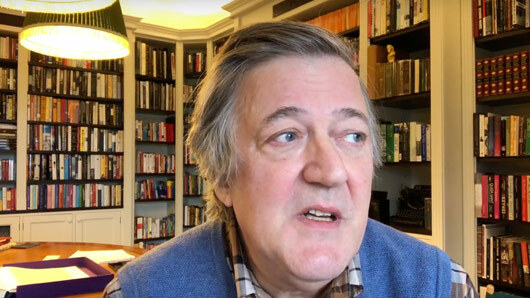 Stephen Fry has revealed he is currently recovering from prostate cancer. In the video – titled ‘Stephen Fry Annoucement’ – Stephen explains how doctors discovered slightly high PSA levels after he went to get a flu jab. Fry’s doctor recommended he get a MRI scan, which later showed up cancerous tissue in the prostate. After discussing the various options with medical professionals, the IQ host decided to have the prostate removed via surgery. The operation took place in January and the cancer was thankfully removed. Stephen has since been at home recovering. Fry concluded his video by highlighting how this early intervention in fact saved his life, and urged other men to get their PSA levels checked. 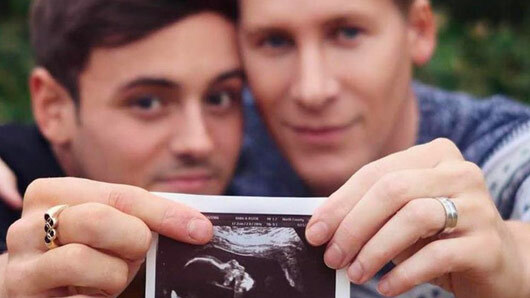 Tom Daley and husband Dustin Lance Blake have revealed they are to be fathers for the first time. The pair have just trumped all other couples on Valentine’s Day cuteness levels by choosing today to announce their heart-warming baby news. The Olympic diver posted a picture to Instagram this afternoon, showing himself and Dustin holding up a baby scan. Former BBC journalist John Simpson has sparked a Twitter row after calling Piers Morgan’s interview with Donald Trump “spineless”. Three million viewers tuned in to watch Trump’s first international interview since becoming President when it aired on ITV last Sunday. However, the interview has attracted its fair share of criticism, with many arguing Piers was too soft on the US leader and critics labelling the encounter a “love-in”. Simpson was among those who criticised Morgan for the interview, and was not afraid to share his opinions on Twitter. He wrote: “The art of the political interview, Piers, is to push your interviewee hard – not let them spout self-evident tosh. That’s just showbiz”. The BBC led on revelations from my interview all Friday morning, and Andrew Marr said yesterday it had made real news. Pompous, probably. Old, undeniably. Prune, quite possibly. But I don’t enjoy watching spineless political interviews. The controversial TV presenter replied: “You once claimed live on air that the BBC (you!) had liberated Kabul, you egotistical charlatan. So please spare me the journalism lectures”. You once claimed live on air that the BBC (you!) had liberated Kabul, you egotistical charlatan. You can watch the full interview on ITV Hub here. 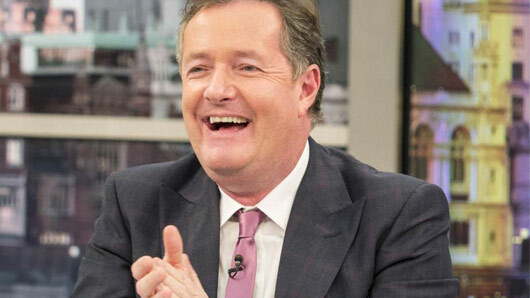 Piers Morgan will interview U.S. President Donald Trump on ITV this Sunday. The controversial presenter is set to interview the even-more controversial Donald Trump this weekend, in his first international interview as President. The Good Morning Britain host announced the news on Twitter earlier today, writing: “*BREAKING NEWS* I will sit down today in Davos with @realDonaldTrump for his 1st International TV interview since becoming President. I will sit down today in Davos with @realDonaldTrump for his 1st International TV interview since becoming President. This will not be the first time Piers and Trump have come face to face. In fact, the two are famously friends after meeting on Trump’s reality show, Celebrity Apprentice. The broadcaster has since interviewed Trump many times, a fact Piers hasn’t been afraid to make well-known. “He always thanks me [for my coverage],” Morgan told Digital Spy last year. “His staff print out all columns and interviews that are supportive. First question. Why are so wonderful, the most wonderful person in the world? I think Piers Morgan and Donald Trump have a lot in common and will enjoy each other’s company. I see Piers Morgan has finally landed his Trump interview. Hope it turns out to be worth all the arse-licking. Piers Morgan’s interview with President Trump will air in full this Sunday at 10pm on ITV. 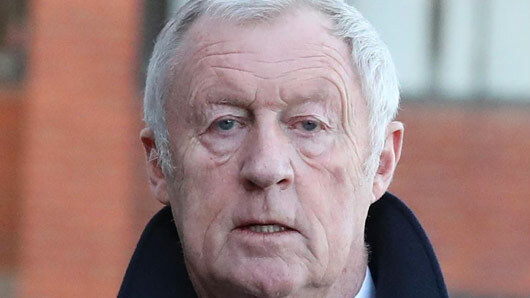 Chris Tarrant has been found guilty of drink-driving. The Who Wants To Be A Millionaire host was fined £6,000 fine and disqualified from driving for 12 months at Reading Magistrates’ Court today (January 18), after admitting to being over the legal limit while driving his Mercedes on 16 December in Bucklebury, Berkshire. Chris was reported to the police by a member of the public and was found with 50 micrograms of alcohol in 100 millilitres of breath, the legal limit being 35 microgrammes. He added: “Once he was at home, as he was not to drive himself again that day, he freely admits he drank a quantity of alcohol – some brandy and later some wine. “Having been at home for some time, he was called upon by a police officer who approached him outside his house and required him, following information received by a member of the public, to take a breath test. This test proved positive and he was formally arrested and taken to the Newbury Police Station. “Mr Tarrant was not stopped by police at the roadside, nor was he given a roadside breath test – nor is there any allegation by police that his driving fell below standard. 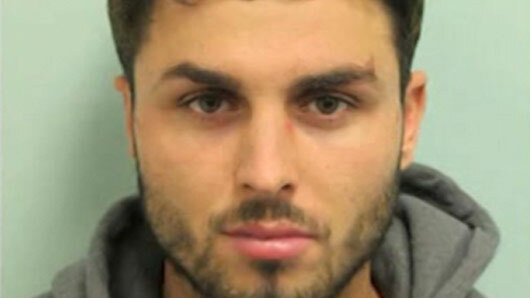 Ferne McCann’s ex-boyfriend Arthur Collins has been jailed for a further eight months after using a smuggled phone in prison. The TOWIE star’s ex-boyfriend and father to their baby girl Sunday was sentenced to a further eight months in prison at Woolwich Crown Court today (Wednesday, January 17), after the Daily Star Online released a video of Arthur using a phone in his cell. Judge Nicholas Heathcote Williams said: “The presence of a mobile phone or component part such as a Sim card has many implications, not only for the prison establishment, but also the wider environment. Arthur Collins’ defence claimed he needed to contact Ferne, who was heavily pregnant with his unborn child at the time. Collins’ lawyer, Audrey Mogan, told the court: “He did not have the phone for any sinister purpose. Arthur was originally jailed for 20 years in December, after being found guilty of an acid attack at Mangle E8 nightclub in London. Aziz Ansari has responded to an accusation of sexual misconduct, claiming the incident was “completely consensual”. A 23-year-old woman has come forward to claim she was left feeling “violated” after a date with the US actor and comedian. Posting a detailed account of their evening together on the website babe, the photographer alleged that Ansari repeatedly tried to initiate sexual activity, despite her showing clear signs that she was uncomfortable. 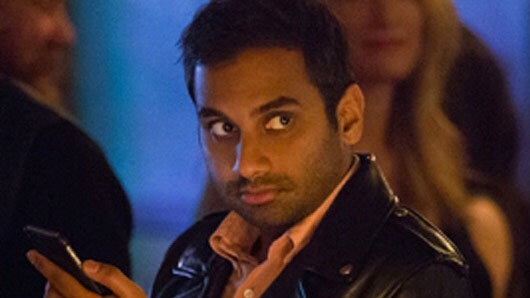 The Master of None star has now responded to the accusation in a statement, denying claims of sexual misconduct. “In September of last year, I met a woman at a party. We exchanged numbers,” the statement read. “We texted back and forth and eventually went on a date. We went out to dinner, and afterwards we ended up engaging in sexual activity, which by all indications was completely consensual. “The next day, I got a text from her saying that although “it may have seemed okay,” upon further reflection, she felt uncomfortable. It was true that everything did seem okay to me, so when I heard that it was not the case for her, I was surprised and concerned. “I took her words to heart and responded privately after taking the time to process what she had said. 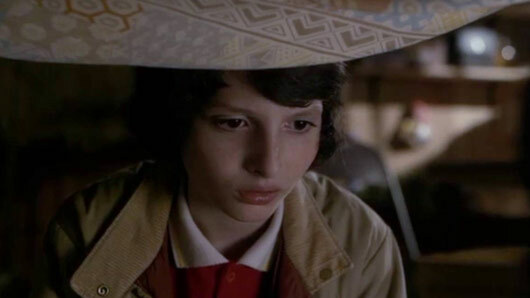 Stranger Things star Finn Wolfhard has spoken out about the controversial social media post shared by model Ali Michael. The 27-year-old model sparked outrage after tagging the young Wolfhard in an Instagram story, in a caption that read: “Not to be weird but hit me up in 4 years @finnwolfhardofficial”. The remark was branded “inappropriate” and “disgusting” given the current sexual abuse revelations in Hollywood. Social media users also highlighted the fact that the comment would be taken more seriously if it were a man who wrote the same message to a 14-year-old girl. The model later released a statement, apologising for her comments. Michael wrote: “It was never my intention (nor has it ever been) to sexualise a minor in any way shape or form. Wolfhard, who stars in the hit Netflix series Stranger Things and the 2017 film adaptation of Stephen King’s It, has now responded to the Instagram post, admitting he found it “gross”. Stranger Things 2 is now available to watch on Netflix.